Women in traditional cultures had no trouble conceiving and carrying healthy babies to term… …and universally these women relied on fertility diets to prepare, sometimes beginning them as soon as they became engaged to be married! Modern medicine mostly ignores the importance of diet and nutrition in fertility, only begrudgingly admitting here and there that it might help. Most of the time modern medicine actually pushes an infertility diet on you! Low-fat, high-carbohydrate, processed food diets can cause infertility. So what's a woman to do? If you're a strong, empowered woman who knows how to think for yourself (I know you are! )… …you do the research your doctor is ignoring. You can feel Rami's passion for the health of mothers and their children all throughout the text of his monumental book Healing Our Children: Sacred Wisdom for Pregnancy, Birth, and Parenting. He goes into detail on health and nutrition, complete with excellent photographs and detailed drawings. My copy of the book has countless sticky notes poking up from the top of it and I refer to it all the time in feeding my own children. Rami gives an excellent outline of diets for preconception, pregnancy, and while breastfeeding. 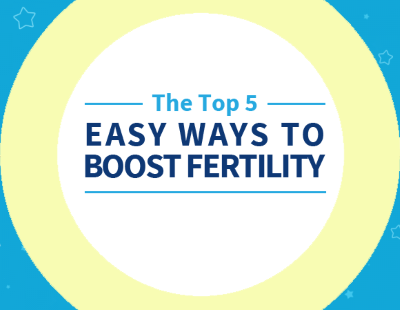 He goes over fertility super foods and what to take when. He also covers what not to eat, and different alternatives that you can substitute for each other. The healthiest ways to cook and prepare foods are also covered. The research Rami has done into fertility diets, pregnancy nutrition, and the nutrition of babies and children is extensive and he's pulled it all together into his book. It's really a great outline as you prepare to conceive… …and carry your healthy baby to term. Nina takes a slightly different approach – she does give important fertility foods, but she doesn't give out a diet plan or eating recommendations. Instead, Nina dives into just why these traditional fertility foods were so good at boosting fertility. She breaks it down into what nutrients are most important, and why traditional food choices are the best choices to get these nutrients. She gives four ground rules to build your fertility diet on, and she covers the importance of avoiding pollutants and contaminants. This one chapter of Nina's book is excellent – it's extensively referenced so if you're looking for the “Science Behind the Fertility Diets” this is the book to get. Nina also covers pregnancy and infant nutrition, so Real Food for Mother and Baby will serve you well throughout your baby's early years. Sally hasn't written specific protocols for fertility diets like Rami and Nina have – but she has written extensively on the importance of fertility diets. Her remarkable cookbook Nourishing Traditions is filled with facts about the impact of diet on fertility, pregnancy health, and the health of babies and children. An entire section is devoted to nourishing babies, and Sally begins the section by discussing food in the preconception period in detail. 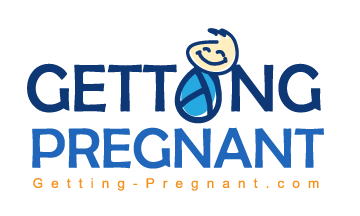 She gives quite a few ideas and suggestions for what to eat in the preconception time and how to prepare for pregnancy. Her guidelines continue into pregnancy. The best thing about Nourishing Traditions is that it's a cookbook – a giant cookbook (we call it “the big yellow cookbook” at my house). It's full of delicious, varied recipes that all give you the nutrition you need to boost your fertility.